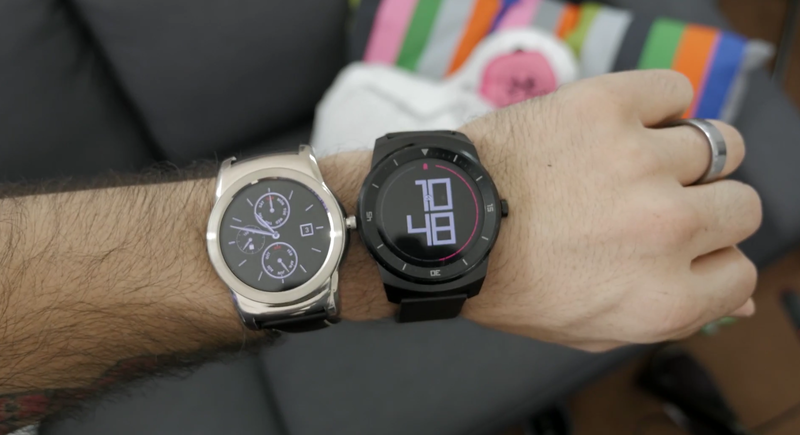 LG’s Watch Urbane is very similar to the G Watch R in many ways. Both devices carry nearly identical specifications. The main differences are with the design, software, and price. The Watch Urbane is for a very specific type of person. LG has designed this watch with shiny stainless steel and it comes in either silver or rose gold. It’s a very fancy looking smartwatch, but on the insides it’s basically a G Watch R.
This smartwatch features a 1.3-inch P-OLED display, Snapdragon 400 processor, 512MB of RAM, and a 410 mAh battery. The Watch Urbane also has Gorilla Glass 3 covering it’s display. With the Watch Urbane we have a nice presentation with the packaging and it comes with a Micro USB cable, charging cradle (which is identical to the G Watch R’s), and a wall adapter. The Watch Urbane comes with a genuine leather strap, which is a bit uncomfortable for my taste, but luckily you can swap it out with any 22mm watch band. The Watch Urbane is close in size compared to the G Watch R, but it feels a bit bulkier on the wrist. I’ve been using the G Watch R since its release and I don’t think I’ll be replacing it with the Urbane any time soon, but let me tell you why. Aside from the major design refresh, the big differences here come with the software. First up, the Watch Urbane includes Wi-Fi support. This is both a software and hardware improvement that may or may not matter to some people. With Wi-Fi support, the Watch Urbane can connect to a network (via your smartphone) and continue to push notifications from various Android Wear apps without being in Bluetooth range. It’s certainly helpful, but not a must-have feature. The Urbane LTE (releasing in the future) will feature its own cellular radio for full untethered connectivity. G Watch R vs Watch Urbane. The Watch Urbane features Android Wear 5.1 which comes with a few more features and a slight UI redesign as well. Don’t worry, most other Android Wear smartwatches will get this software update, but not all will receive Wi-Fi support. Next up, we have the ability to scroll through cards on the watch by flicking your wrist. It a nice feature to have, but you’ll still need to use your finger to interact with those cards. Also new here is a proper app launcher for Android Wear. If you tap on the main screen, swipe from the left to right, or press the crown button on the side of the watch, you can pull up this new three panel menu. The first panel features a list of your apps in alphabetical order with your most used apps at the top. The second panel features your favorite contacts with the ability to call, text, or email them. Finally, the third panel allows access to Google Now, but you can easily get to this section by raising your wrist and saying, “Okay Google.” For a detailed look at the new software options, check out the above video. 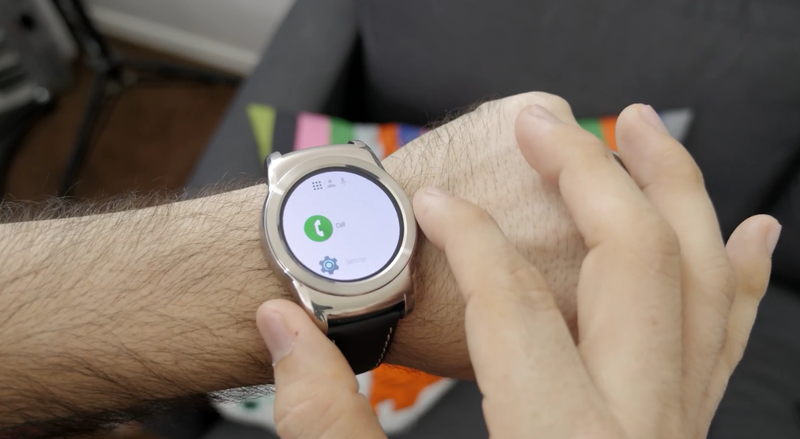 These features are nice to have, but keep in mind that most of them will be coming to other Android Wear devices in the future. Unless you need to have the classy stainless steel design that the Urbane offers, you’re better off sticking with a less expensive option. As for battery life, the Watch Urbane still gets the same 1-2 days of battery life found with the G Watch R.
Currently, the Watch Urbane will run you $349, while the G Watch R is now just $249. LG’s Watch Urbane is nice, but not a necessity. Though I guess the same could be said about any smartwatch. There’s only one LG smartwatch with this kind of design, but I think I’ll just stick with my G Watch R for now.